Las Vegas International Chess Festival 2007 is again one of the most important chess events in the United States. It will include the National Open, the U.S. Game/10 Championship, National Open Blitz Championship, the Susan Polgar World Open Championship for Girls and World Chess Challenge for Boys, as well as many special promotional events for chess. The high prize fund and the participation of legends such as Viktor Kortchnoi, assures much excitement at this years’ festival. The first edition of the National Open was established by Ed Edmondson and was held in 1960′s. 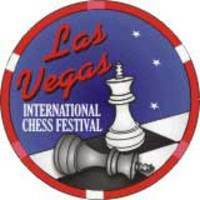 It is the main event of the Las Vegas International Chess Festival. This year the competition features an exceptional prize fund of $100 000. Because of the fantastic conditions of the venue – Riviera & Hotel Casino – about 1000 participants are expected to take place in the National Open. The National Open is a 6 round Swiss System tournament. Chess sets and boards are provided, but the players should bring clocks with themselves. The competition is FIDE rated. The players are divided in seven groups – Championship, Under 2200, Under 2000, Under 1800, Under 1600, Under 1400, and Under 1200. The time control is 40 moves in 2 hours then Sudden Death in 1 hour. Membership n the U.S. Chess Federation is required of all players. Prizes are awarded up to 15th. There are also many additional prizes, as $2000 for a perfect 6-0 score. It will be held June 7th at 7pm. The tournament is a 7 double round Swiss. The Open part is divided into under 2500, under 2400, under 2300, under 2200, under 2100, under 2000 categories. The Amateur part is divided into under 1800, under 1700, under 1600, under 1500 under 1400, under 1300, under 1200, under 1100, under 1000 categories. 80% of the entry fund is returned as prizes. For the second year, the festival will host the Susan Polgar World Open Championship for Girls. It will be also the first year of Susan Polgar World Chess Challenge for Boys which we hope will continue as a traditional tournament in the next years. The Susan Polgar Foundation will also organize Open Blitz Chess Championship for Girls and Boys, Open Chess Puzzle Solving Contest for Girls and Boys, a simul, and lectures. GM Viktor Kortchnoi will take active part in the Las Vegas International Chess Festival 2007. He will give a 25 board Simultaneous Exhibition on Monday, June 11th. He will also participate in the National Open.